‘Tis the season for family, friends and holiday gifts. This year make your holiday shopping extra special by supporting a local business while you do it. With over 100 locally owned small businesses Historic Downtown Venice has something unique for everyone on your holiday list. 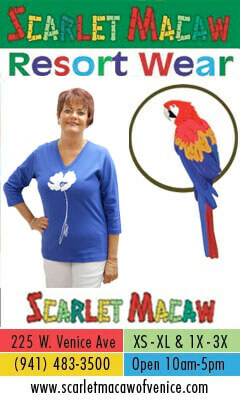 You’ll find great toy stores, ladies and men’s boutiques, home décor and much more! Today, shopping priorities are shifting towards convenience and savings. Holiday shopping online is tempting. Sites like Amazon make it easy to click and have it at your door the next day. Clicking the mouse may be saving money and time in the short run, however it is costing our community in the long run. It is depriving our community of important tax revenue and denying our local workforce income. Local businesses mean local jobs that support local families. A study done by the Andersonville Development Corporation of Illinois found that locally owned businesses, retail and restaurant, generate 70% more local economic impact per square foot than chains. If you spend $100 at a locally owned restaurant, $73 is recirculated into the local economy, while spending $100 at a chain produces only $30. 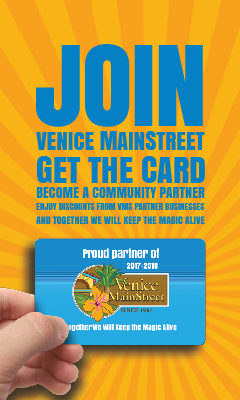 In a study closer to home, Venice MainStreet found that annually 44% of the participating downtown businesses give more than $2,000 a year to local charities, with the highest donations up to $25,000 in money, products and services.